From savory gourmet meals to tasty sweet treats, edible flowers can take your culinary game next level. Flowers offer color, textural contrast, and are an unexpected element to use in your cooking. You can use edible flowers in your kitchen concoctions to add visual interest to a meal, to amp up the flavor in a dish, or for fun. 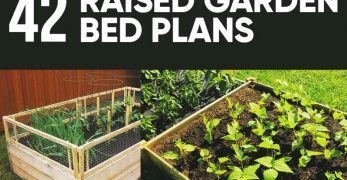 Even better, can grow your favorite varieties right in your garden for the ultimate edible landscaping. 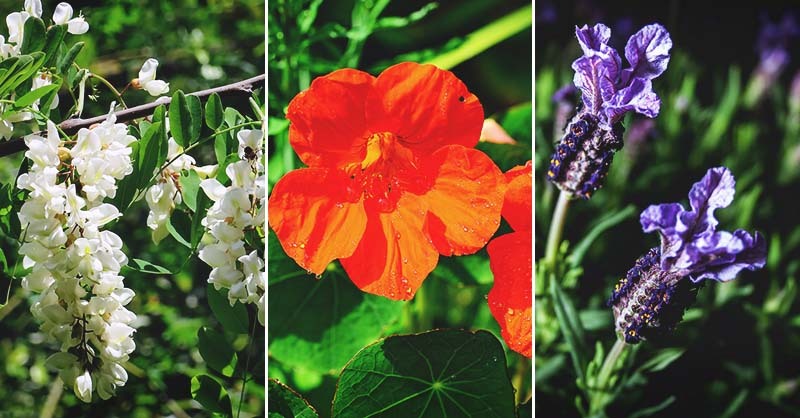 Before you start snacking on edible flowers, make sure you know how to identify them correctly. 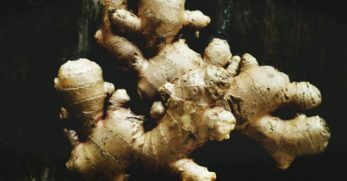 Many varieties have sneaky lookalikes that may cause indigestion or allergic reactions. Some flowers are poisonous and are not to be eaten ever. Just because the flower of a plant is edible doesn’t mean the rest of the plant is. Pick flowers from a known location to be sure no pesticides or harmful chemicals are present. Wash flowers before eating, too. Note that the rule of thumb with edible flowers is to avoid the stamen, pistil, and sepals (the small leaves at the base of the flower). 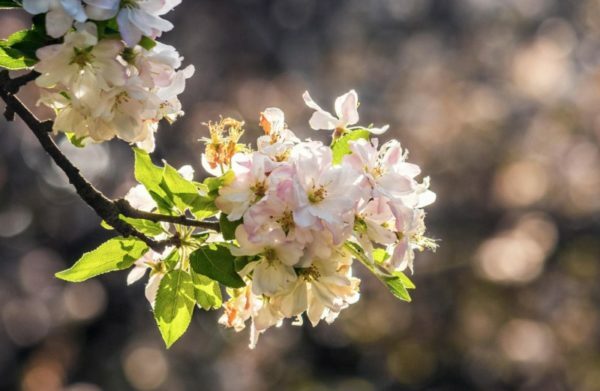 Of course, you know about those delicious fruits that pop up on trees in the fall, but did you know that apple tree blossoms are also edible? The petals lend themselves to a variety of dessert dishes. Flavor: Apple blossoms have a mildly fruity, floral flavor. Cautions: Apple blossoms (and apple seeds) contain cyanide and should be eaten sparingly. Although you’d need to eat a lot to poison yourself or others. 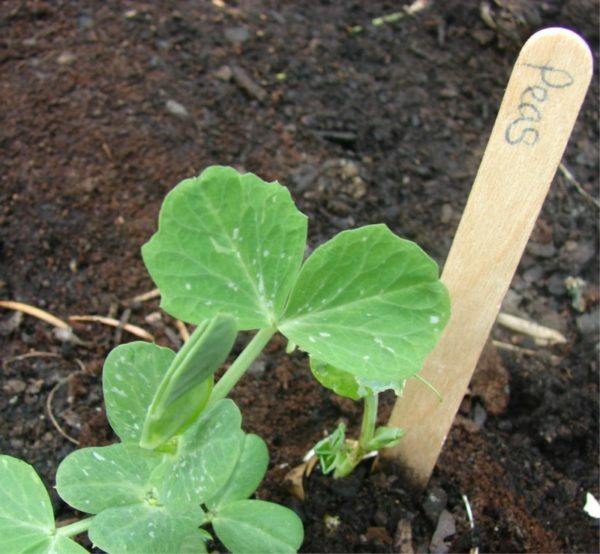 Growing peas is incredibly easy, and I particularly enjoy snap peas a snack. Delicate pea tendrils are an unexpected way to garnish dishes, and the edible flower blossoms are equally useful for decorating savory plates. Flavor: Pea blossoms have a fresh pea flavor that tastes like a milder version of a pea. 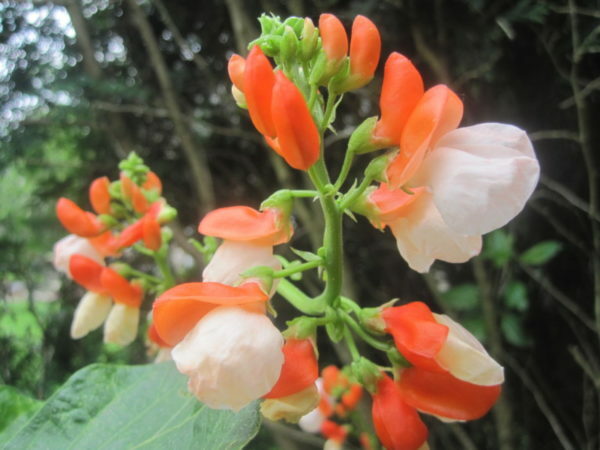 Cautions: Blooms of ornamental pea varieties should not be eaten because they are poisonous. The lacy edible flowers of this herb are a tasty garnish for soups, salads, and other dishes. You can wow your dinner guests by putting a few blossoms on top of fish for a delicate presentation. Flavor: Dill flowers are slightly stronger than the leaves, but taste similar. Cautions: Dill blooms don't keep. Eat them right away. 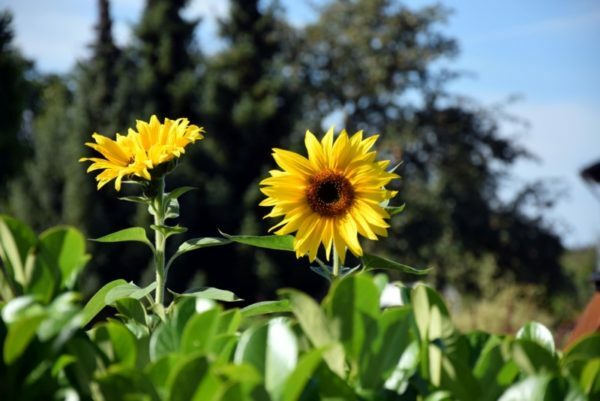 Is there anything cheerier than a sunflower towering over a flourishing garden? You knew that you could eat the seeds of this bright flower, but did you know the flower itself is also edible? Flavor: Sunflower plants taste a whole lot like an artichoke. The leaves are edible as well. Cautions: The edge of a mature sunflower petal can be bitter. You can attract pollinators with this hardy plant and use its delightful star-shaped flowers in all sorts of recipes, from cocktails to soups. Try them crystallized as candy for a real treat. 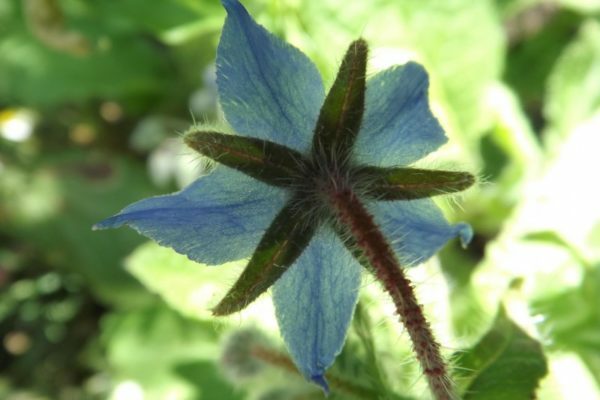 Borage is frequently used as a medicinal plant. Flavor: Starflowers, as they are also known, have a cucumber-like flavor. Cautions: Some people confuse green alkanet with borage. Green alkanet isn't poisonous, but it doesn't taste good. While most people know that you can use the leaves of this popular herb, the flower is also edible. You can use thyme flowers anywhere you'd use thyme. Try using them to make flavored herb butter. 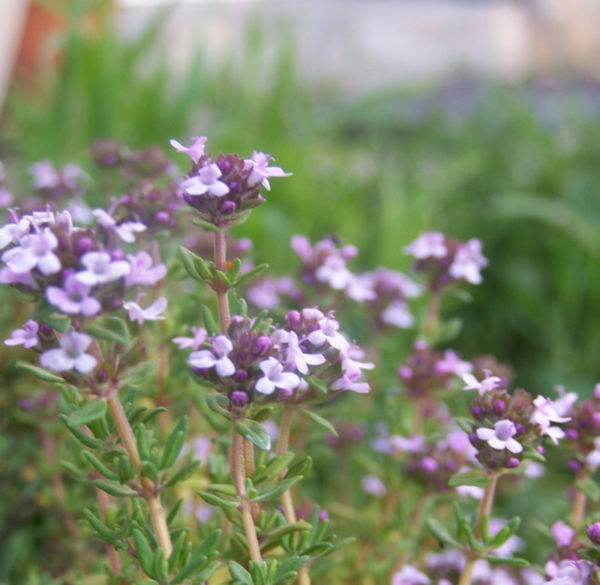 Flavor: Thyme flowers have a mild thyme taste with a subtle lemony flavor. One of my favorite veggies, broccoli is the start of the edible flower of the plant. 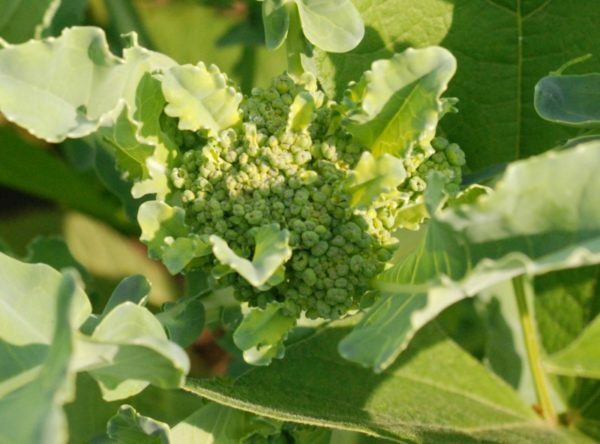 The florets you see in grocery stores would eventually turn into little yellow flowers, but we typically enjoy broccoli before it gets to that stage. The flowers themselves are edible, but they have a slightly sharper flavor profile, which some people love even more than the florets. Flavor: Broccoli flowers taste like milder broccoli with more sharp peppery, bitter notes. This garden favorite is perfect for the dining table. You can use the delicate edible flowers in salads, or for garnishing fruit or dessert dishes. They come in a ton of different colors so you can coordinate with your meal. Try sticking a pansy flower in cheese for an elegant presentation. 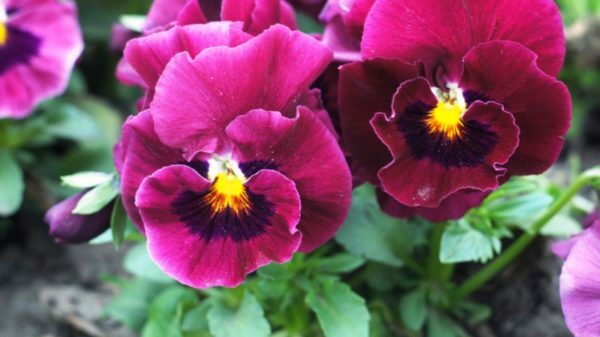 Flavor: Pansy flavor can depend on the color, but most have a spicy, lettuce flavor. Blue pansies can have a mild wintergreen taste. Cautions: None. In fact, you can eat the stamen, pistil, and sepals. Snip and enjoy. 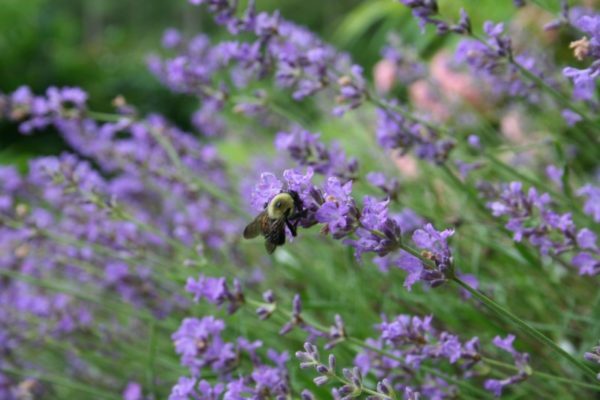 Another plant that’s useful for attracting pollinators, lavender is a pretty option for adorning a variety of dishes. It pairs well with sweet or savory plates. Flavor: Lavender flowers have sweet, citrusy notes. Different varieties of lavender have different flavors – ornamental lavender can be more bitter, while English lavender is the sweetest. Cautions: Lavender oil should only be ingested if it’s deemed safe for culinary use. 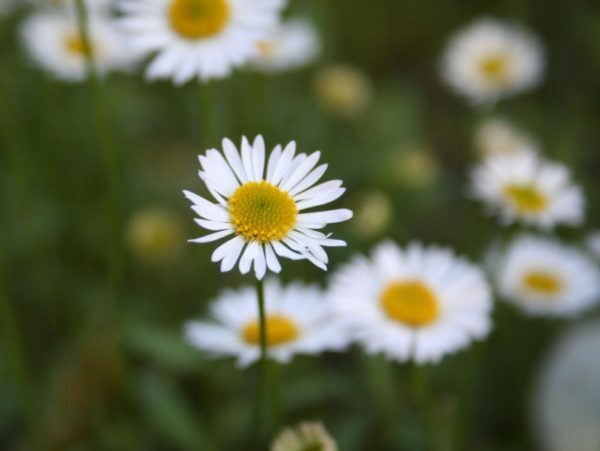 This cheerful little flower makes a delicious mild-tasting tea perfect for soothing a sore throat or bringing on sleep, but chamomile is a versatile addition to savory and sweet dishes. It is divine browned in hot butter and stirred into oatmeal, or sprinkled on a cobbler. You can add the blossoms to salads, or infuse vodka with the flowers plus a little bit of citrus zest. Flavor: Chamomile flowers have a mild, apple flavor. 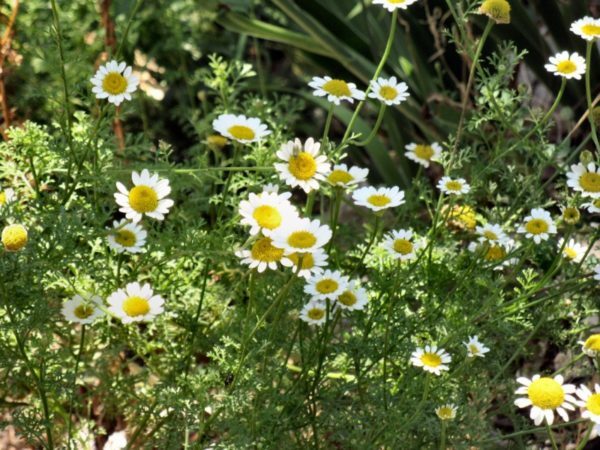 Cautions: Watch out, you might not react well to consuming chamomile if you suffer from ragweed allergies. 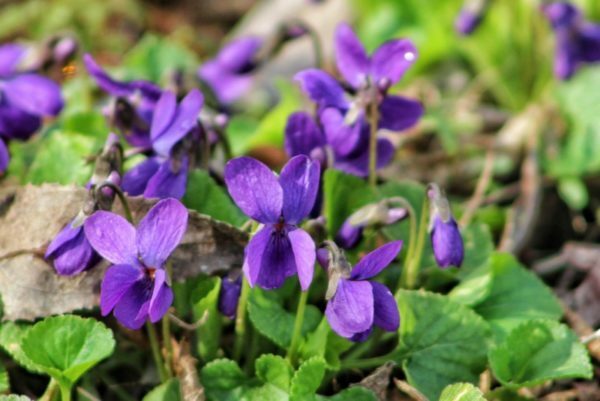 Violets grow unchecked in many parts of the United States so you can forage your own. Some people will likely cheer you on if you do because many consider wild violets to be a weed. 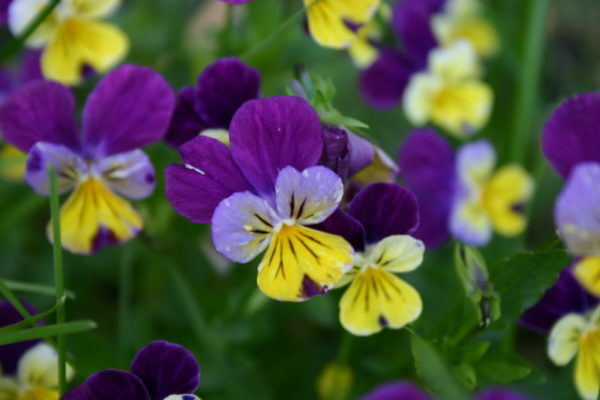 Use violets to add a purple accent to salads or to infuse oil. The edible flowers shine in desserts, where you can top cakes, muffins and creme brulee. Violet jelly is particularly delectable. Flavor: Floral and sweet. 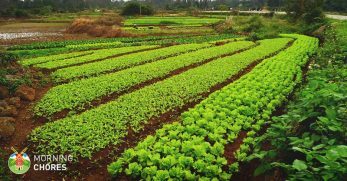 You can eat the greens, which taste grassy. Cautions: Violets can have a mild laxative effect if you eat them in large amounts. These versatile edible flowers are deliciously prepared in a myriad of ways. 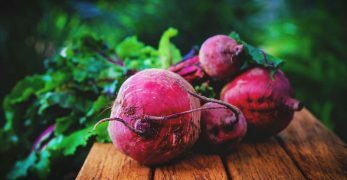 Stuff them with soft cheese and bake, fry them up, pickle them, or use them raw to decorate your dishes. 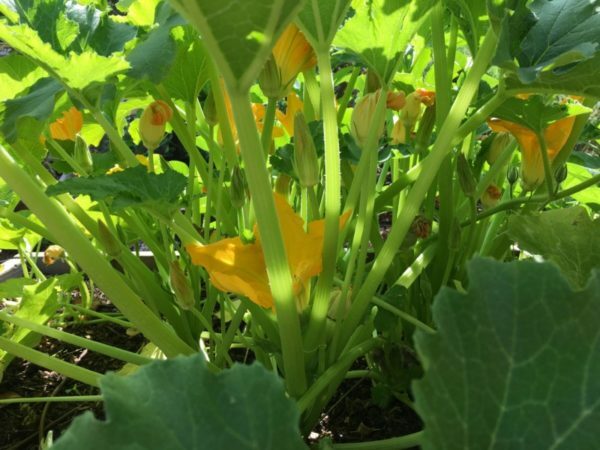 Flavor: Squash blossoms, also known as zucchini flowers, have a delicate squash flavor. Cautions: Wash blossoms to get rid of any hidden insects, and don’t remove too many of these or risk limiting pollination. Remove the anthers before eating. I LOVE fennel. It’s such a nice addition to fish dishes and tastes good when cooked till almost caramelized. 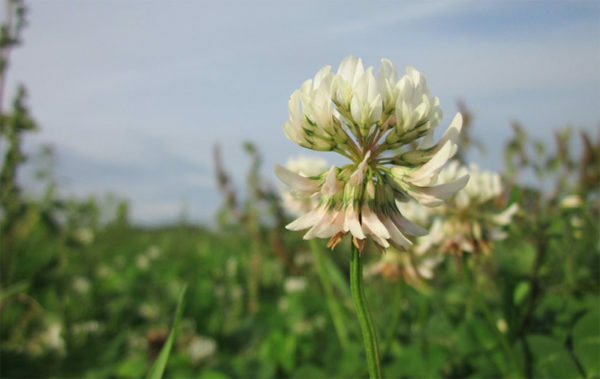 The plant’s flowers are edible, and taste incredible crushed over pork or in a fish soup. You can harvest the pollen, which adds a licorice flavor to your food. 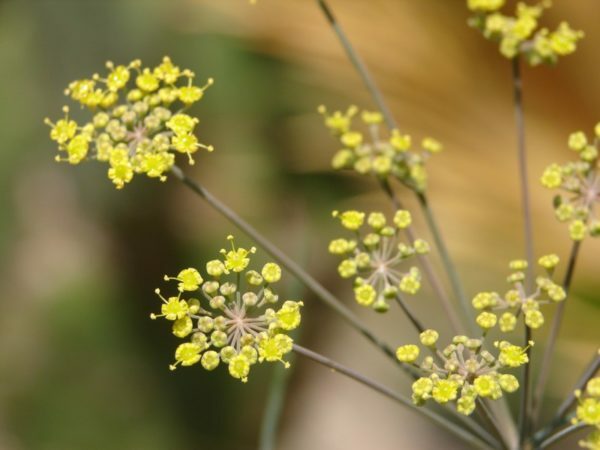 Flavor: Fennel blossoms have a delicate anise flavor. 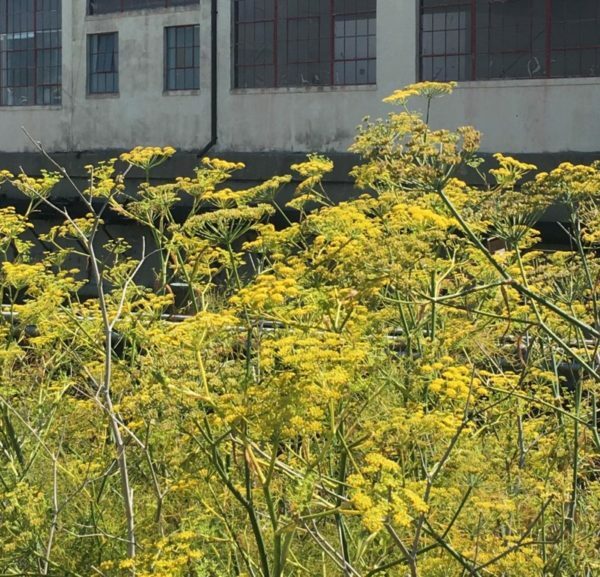 Cautions: If you are foraging, be sure that you are picking fennel and not hemlock. Both plants come from the same family and look similar. 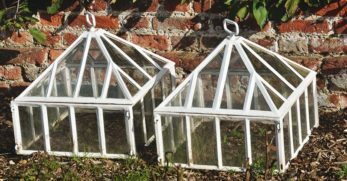 Luckily, they are relatively easy to tell apart once you know what to look for. Fennel is considered a weed in some areas, be sure if you are foraging to find fennel that hasn't been sprayed. 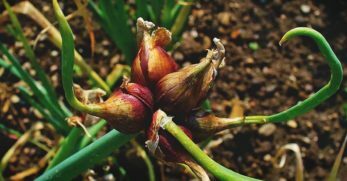 Garlic is such a wonderful plant to grow because you can use many parts of the plant, including the greens and blossoms. 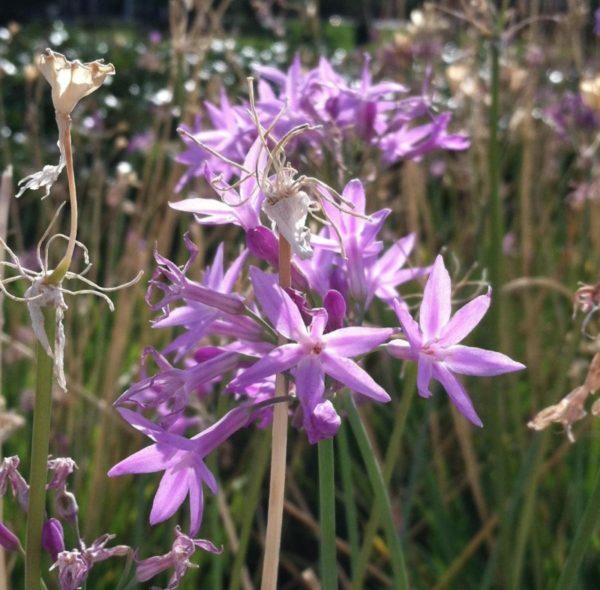 If you've always tossed or pinched garlic flowers, now is the time to give them a try. The pretty edible flowers are scrumptious when added to soups, salads or any other dish that calls for a mild garlic flavor. Flavor: Garlic bulbs have a light garlic flavor, as you'd expect. 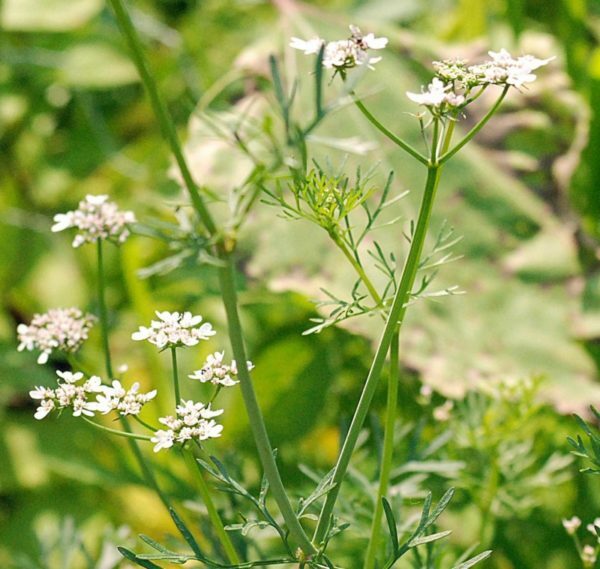 Most gardeners pinch cilantro flowers before they can form, or let them turn to seed to start next year's crop. 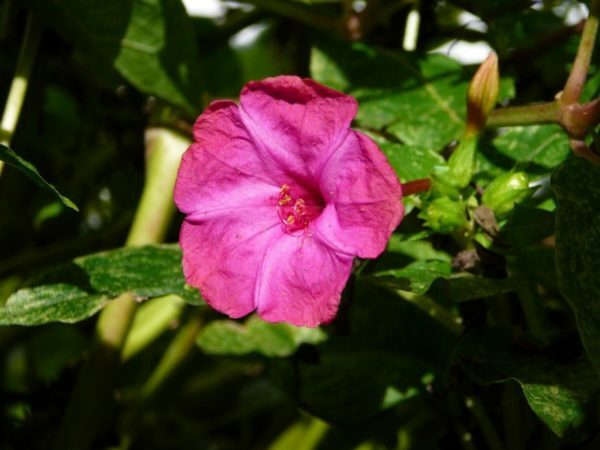 What you might not know is that you can use the flowers of the plant as you use the leaves. Flavor: Cilantro's edible flowers have an intense cilantro flavor. A favorite plant of mine in my garden, anise hyssop’s flowers and leaves are edible. Try adding the pretty blossoms to pasta or soup. Flavor: Anise hyssop is also called licorice mint, so as you might expect, the flowers have a subtle licorice-like taste with a bit of mint. An easy annual to grow, nasturtiums come in a variety of colors and are one of the most well-known and popular edible flowers. You can eat the seed pods, too. 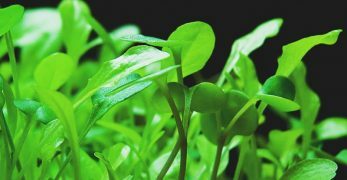 It tastes great in salads in place of arugula or cress. You can make a marvelous omelet using chopped flowers, or mix with cream cheese, garlic and chives for a dip that will wow. Flavor: Nasturtium has a spicy, peppery, watercress-like flavor. 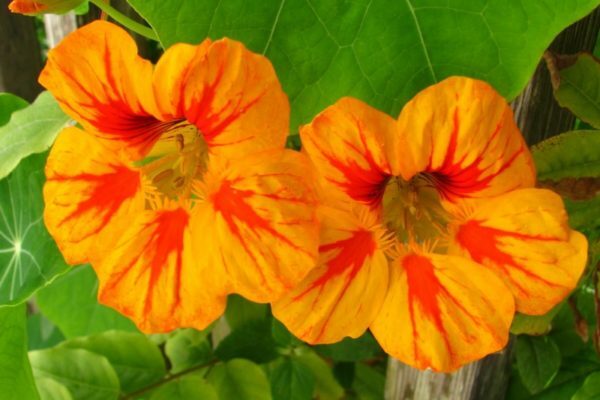 Unlike many edible flowers, nasturtium has a bold taste. You can eat the beans of these trailing plants and the flowers, too. The gorgeous runner bean flowers don’t only add flair to the garden, they’re a nice garnish in salads. Flavor: Scarlet runner bean flowers have a dainty bean flavor. Cautions: You can eat the flowers raw, but if you consume a large quantity of the beans, it is best to cook them. Like kidney beans, they contain a small amount of lectin phytohaemagglutinin, which can make you feel unwell. 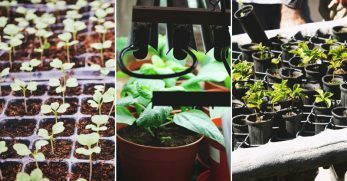 This herb is a popular one, and it’s likely you’ve got one growing in a pot on your windowsill or in your garden. When you go to snip off the edible flowers to keep your plant thriving, try sprinkling the flowers in pasta or make a tea with the blossoms. 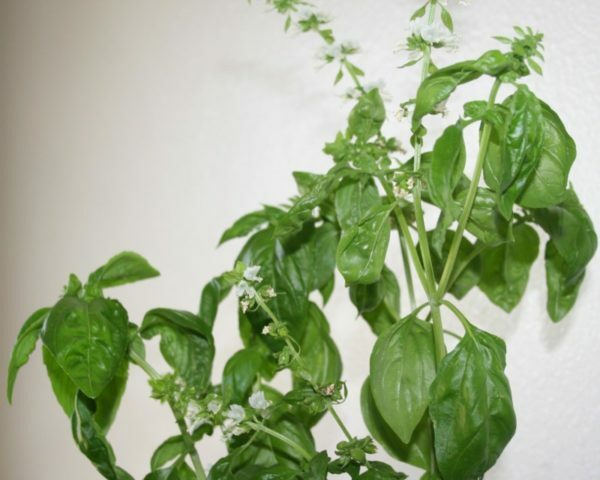 Flavor: Basil flowers taste milder than the leaves, but they have a distinct basil flavor nonetheless. 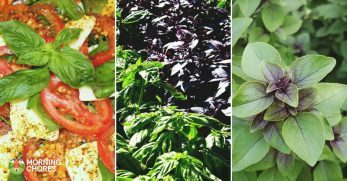 The intensity and flavor will vary depending on the type of basil plant you have. Not only can you enjoy the leaves of mint, but the flowers of this herb are delicious in their own right. You can use the blossoms in tea, as a garnish in Middle Eastern dishes, or sprinkled on a dark chocolate cake. 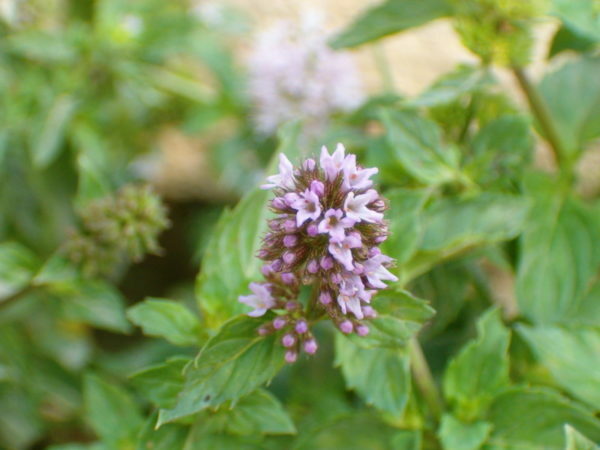 Flavor: Mint flowers have a milder flavor similar to that of the plant they come from. Cautions: Be sure to plant your mint in a pot or container to prevent it from invading the rest of your garden space. Mint is prolific. Safflower is a thistle-like plant known for its use in vegetable oil. 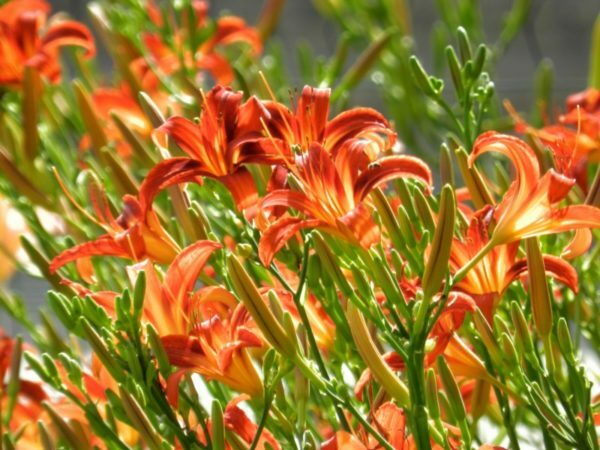 In the home, you can use it as a cheaper alternative to true saffron. Try the edible flowers fried or fresh in rice dishes. Safflower is also known as Mexican saffron. 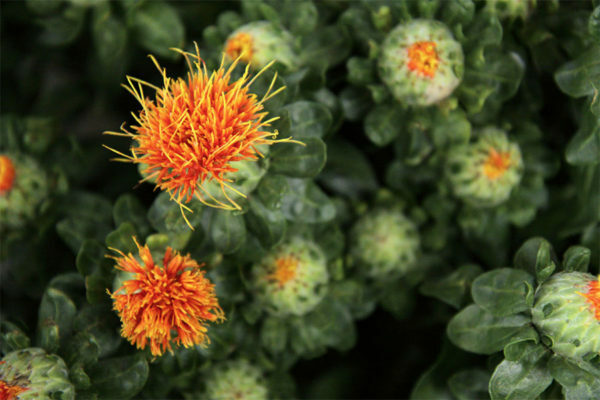 Flavor: Safflower has a mild saffron-like taste, with hints of honey and floral. Cautions: Don’t be duped by it. It’s sometimes sold and priced as if it’s real saffron. Do not eat safflower during pregnancy. Not just a pretty face, all varieties of roses can be consumed and look beautiful as garnishes for desserts. Try adding the blossom to tea or punches, or transform them into preserves. Try the flowers chopped on ice cream or in salads. Flavor: Taste varies considerably depending on a variety of factors. Try sniffing the flower, because chances are good if you like the smell, you will like the taste. 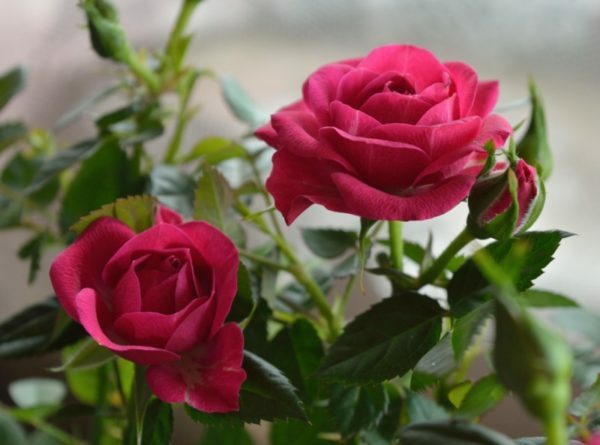 The darker the flower, the more pungent the flavor, and red roses reportedly taste the mildest. Cautions: The light part of the petals have a pronounced bitter taste. Toss that bit if you don't like the flavor. There are two types of edible begonias: wax and tuberous. Try steeping the petals in vinegar or in a salad with quinoa and strawberries. 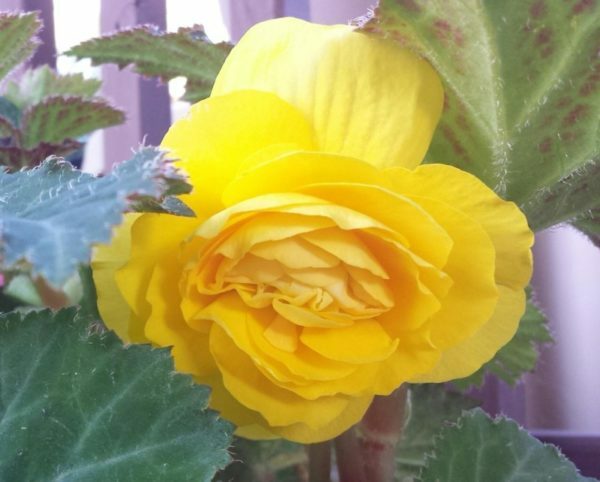 Flavor: Begonias have a sweet-sour profile that is similar to lemon. We prefer the citrusy flavor of the tuberous kind. Some are mostly sour, so give the blossom a nibble before deciding how to use them. Cautions: Like sorrel, begonias contain oxalic acid and if eaten in generous quantities may cause an upset stomach. 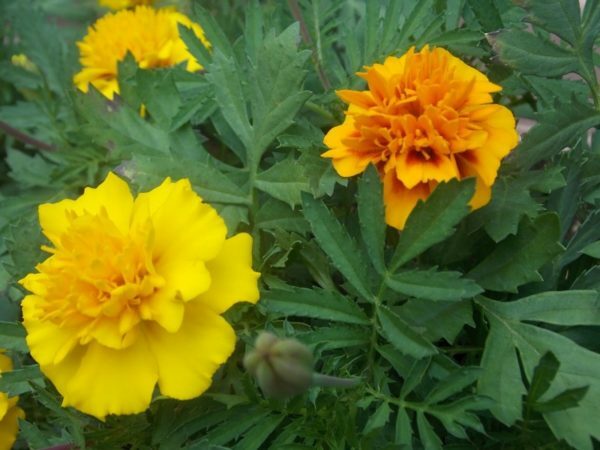 Anyone with a kidney ailment should avoid consuming this flower. 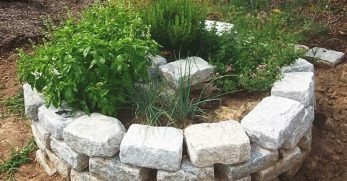 I once saw a homeowner use chives as a border plant in the front yard. I pictured them occasionally heading out to snip off some chive stems and blossoms to cook with. A versatile way to use a garden plant, that’s for sure! 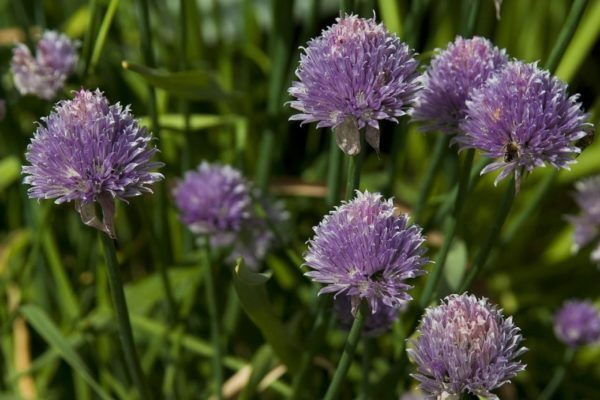 You can use chive flowers anywhere you want a hint of onion or garlic. They are amazing tossed in pasta or an omelet. Flavor: Chives taste different depending on the type. Onion chives are generally mild, while garlic chives have a pronounced garlic flavor that is even stronger than the greens. Daisies are a particularly good choice for visual garnish because they can be an acquired taste. Try them chopped in salads, or pickled to help cut down the bitterness. They are tasty wilted in a pan with butter and some chopped nuts and then tossed with pasta. Flavor: Daisies have a bitter taste with a hint of artichoke. The leaves taste similar. 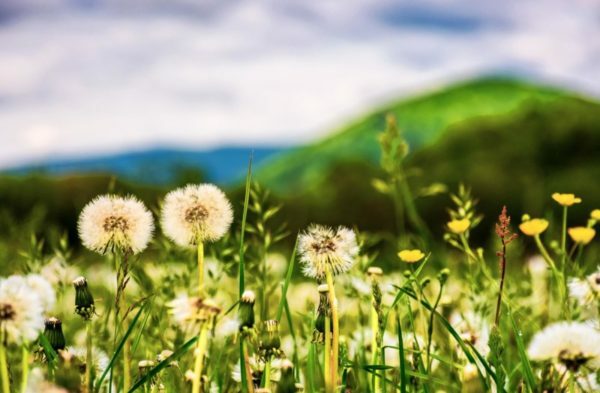 Cautions: If you have an allergy to plants in the daisy family, avoid eating them. 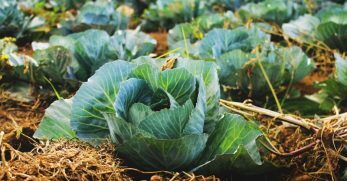 All the parts of this plant have culinary uses, from the roots to the flowers. 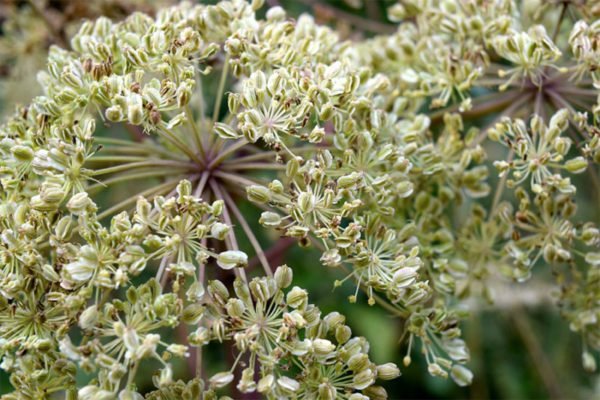 Angelica flowers are commonly used to make tea, but get creative and use this plant anywhere you want a light licorice flavor. Blossoms are particularly good tossed with ripe fruit, Neufchâtel cheese, and honey. Flavor: Angelica flowers taste licorice or celery-like. The plant is in the carrot family and has a similar flavor profile. Those little purple-blue flowers are pretty and good to eat. 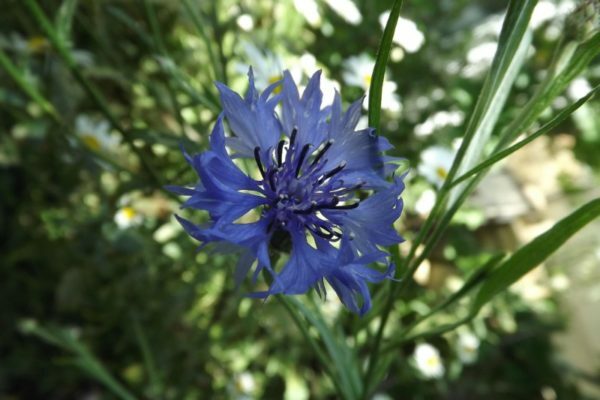 Also known as bachelor's button, try cornflowers as an herbal tea, in cocktails or in a salad. They are delicious on anything that can use a little clove, like a chiffon cake. 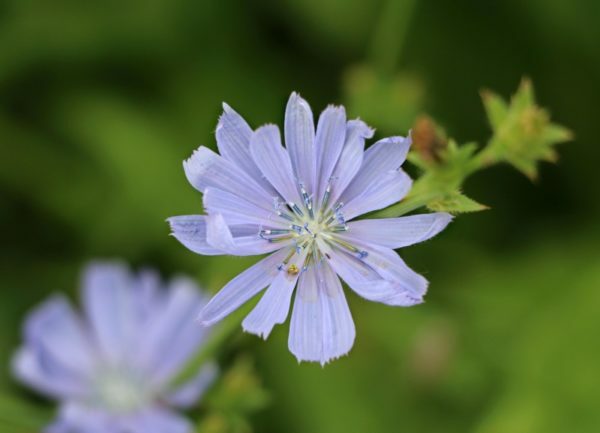 Flavor: Cornflowers are sweet and spicy, with a wonderful clove-like flavor. Cautions: Avoid if you are allergic to ragweed or daisies. 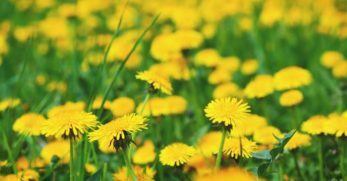 Dandelions are edible from root to tip. 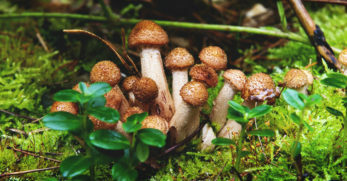 They are abundant and easy to find, just make sure you wash them thoroughly before eating them. You never know where a dog has decided to mark their territory! Eat them breaded and fried, steeped honey or, of course, you can make wine. Dandelion flowers are good in tea or on salads. Flavor: Tender young dandelions have a sweet flavor. Cautions: Careful where you pick them. On city streets, they may be sprayed with pesticides. Gladiolus is an attractive edible flower for the garden that’s as pretty served on a plate. You can use them like you would squash blossoms. 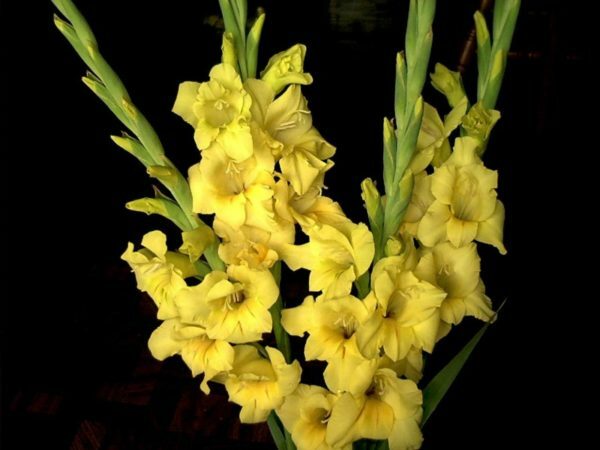 Flavor: Gladioli has a mild, lettuce-like flavor. Some might even call it bland. Hollyhocks are hardy and beautiful in the garden, but they make a nice garnish or addition to salads. You can also eat the seeds. Flavor: Doesn’t taste like much. Cautions: Use caution if you gather these on the side of the road. They may have been sprayed. Johnny-jump-ups are part of the Viola genus. You can use them in a similar way to violets. They make an attractive flower that looks great as a garnish and lends itself perfectly to desserts. Flavor: The flowers taste slightly of wintergreen. 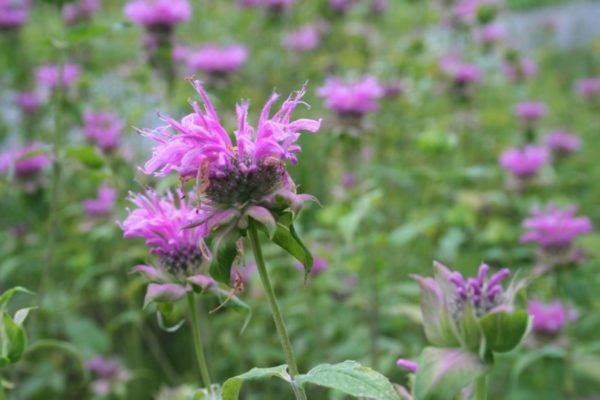 You can plant bee balm in your garden to attract pollinators and enjoy the color it adds, but you ca enjoy flowers on your dinner plate. Dried flowers are a nice addition to tea, and they are tasty raw in a fruit salad. Flavor: The taste depends on the variety, and can range from an herby oregano taste to a minty, citrusy flavor. Probably my favorite flower, peonies may not taste quite as good as they look, but they are delicious. In the summer, sprinkle petals in lemonade or add to the top of a cake. Flavor: The petals have a lightly sweet, fruity flavor. 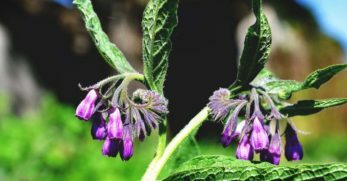 You can eat the whole flower, and it has a slight wintergreen flavor. 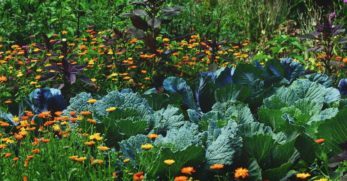 You may know them as calendula, these pretty edible flowers are great pest repellers. They work as a cheap alternative to saffron, and you can use the petals to add color to a dish. Add them to soups and stir-fries for a peppery kick. Flavor: Sharp and peppery but flavor varies considerably from subtle to spicy. Cautions: Consume only the flower petals. Once you nibble on a daylily, you may decide to grow them to eat. 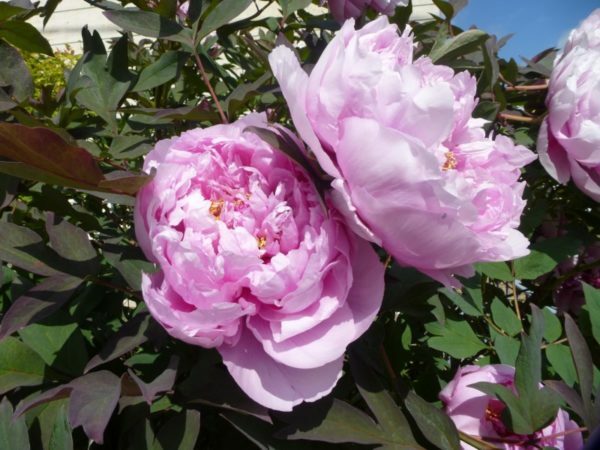 The petals are tasty and attractive additions to dessert dishes. Yummy in salads, too. Try unopened buds fried in butter with salt. Flavor: While taste varies, it’s often described as slightly sweet resembling melon or tender lettuce. The tubers are insanely good. 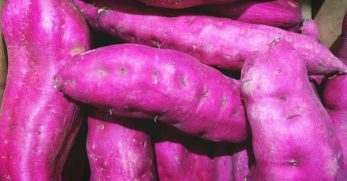 Cautions: Not all varieties are edible and avoid eating too much as they may have a laxative effect. 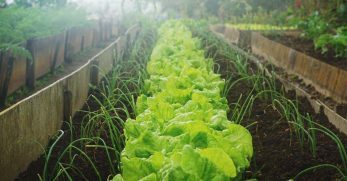 The garden staple is edible, but you might want to reserve it as a showy garnish. 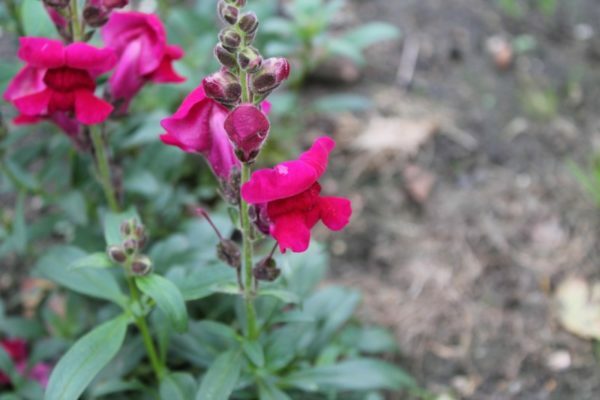 Flavor: Snapdragons have a pronounced bitter profile. Cautions: The taste isn’t to everyone's liking, and while they’re edible they’re best used to decorate or garnish plates. You can eat the edible flowers of this medium-sized plant, which is considered a weed in most areas. Wood sorrel is part of the Oxalis genus, and oxalis literally means sour, which should give you an idea of how this plant tastes. The lemony flavor is excellent on fish or cooked with asparagus. Flavor: The flowers have a sour lemony taste. Use these as you would a lemon. 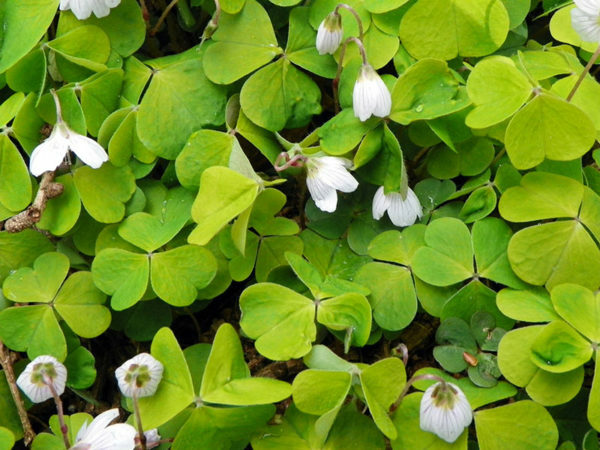 Cautions: Wood sorrel contains Oxalic acid, so people with gout or rheumatism should avoid it. Both the petals and buds are edible on this cute little flower. This, too, is considered a weed in most of the US. Boil the buds to take out some of the bitterness, and toss petals raw in salads. 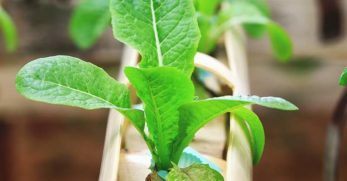 Flavor: Chicory has a slightly bitter taste that has been compared to endive. Cautions: This tastes best in spring or fall because the heat makes the plant bitter. 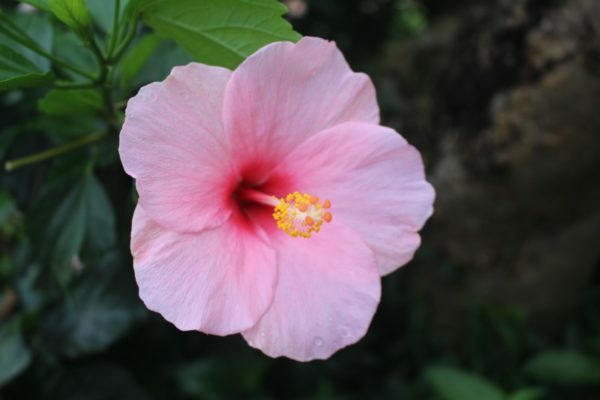 I love hibiscus tea when I’m having stomach troubles, but the flowers are good for more than a tummy tamer. You can pickle or cook the petals in addition to eating them raw. It's particularly good as an addition to desserts that can use a kick, like a spiced cake. Flavor: Sour, citrusy flavor, like a lemony cranberry. I only recently realized that I could enjoy the blossoms from my lilac tree. I had previously thought they simply smelled terrific. Lilacs have a long history as an edible flower, like its fellow garden staple, the rose. You can make a syrup by steeping the petals, or you can preserve them in vinegar. Also, like the rose, you can make jelly or add the blossoms to a cold drink. I think they are particularly good baked into a scone or mixed raw into whipped cream and put on pavlova. 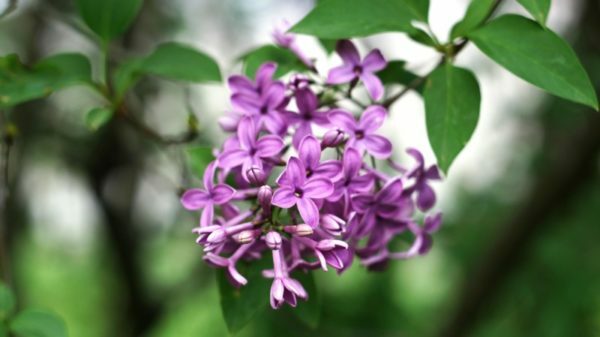 Flavor: Lilacs have a soft lemony floral flavor. This one is a bit of a departure from your typical edible blossom. Did you know that the edible part of artichokes is the flower of the plant? Artichokes are one of my favorite foods to enjoy and are perennial in some zones. Flavor: Well…they taste like artichokes! Mild tasting and delicious dipped in garlic butter. 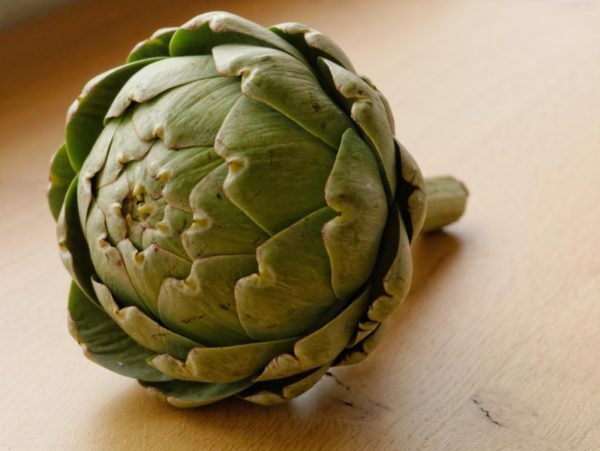 Cautions: You don’t eat all the parts of the artichoke as some are too tough to consume. 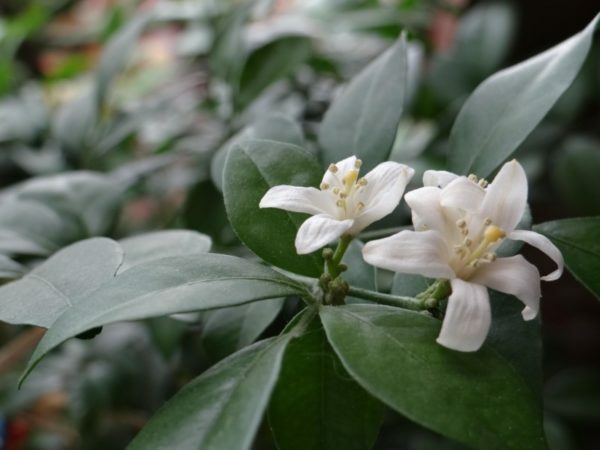 Of course, you can eat the fruit, but the blossoms on citrus trees are edible. From orange to grapefruit, try giving citrus petals a nibble – they have a powerful scent and taste that is heavenly in desserts. Cautions: Don’t overdo it with these flowers. The strong smell and taste may be overwhelming if overused. Sage flowers are every bit as versatile as the leaves, but with a milder flavor that lends itself to dishes that might be overwhelmed by sage leaves. Use them in pesto or on top of roasted pork. 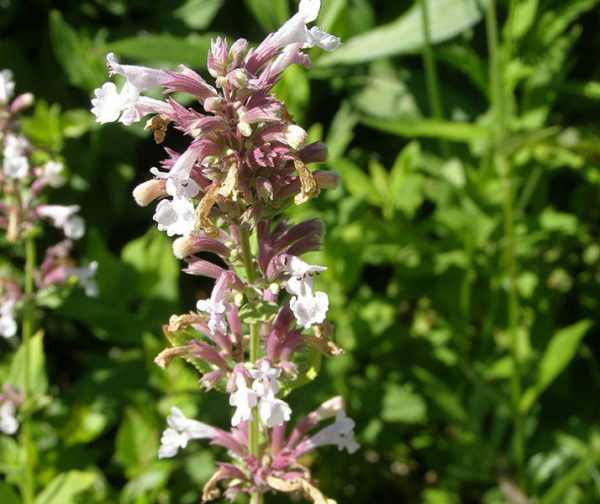 Cautions: Make sure you are eating sage and not one of the look-alike plants, like Russian sage. 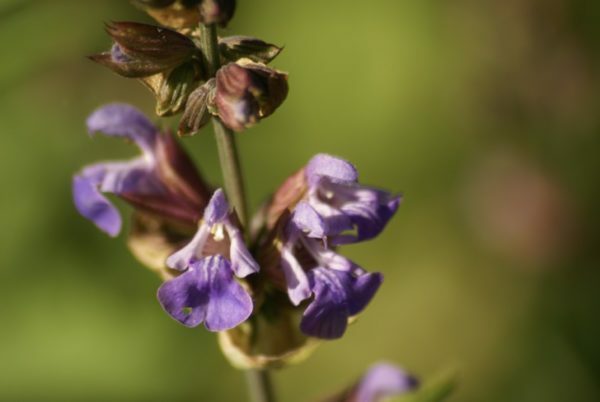 Like sage, this popular herb's flowers are edible and have a slightly milder flavor than the leaves on the plant. 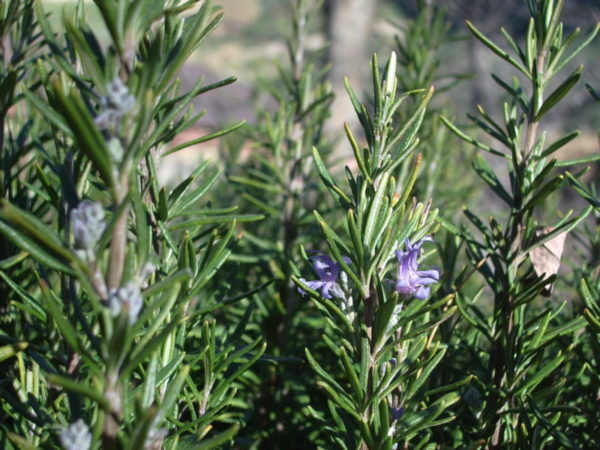 If you don't like rosemary, you may enjoy the subtler flavor of the blossoms. Try adding the flowers to melted butter or bake into bread. 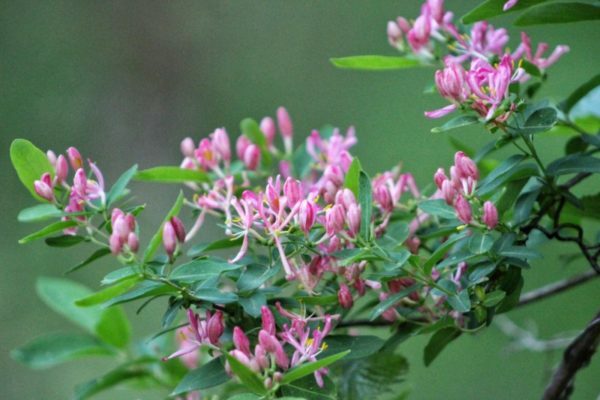 Japanese honeysuckle is considered an invasive plant in some areas, so do your research before planting this for its delicious edible flowers. You probably sucked the nectar off the ends of the flowers as a kid, but they are nice in salads or on desserts. Flavor: Taste like honey, hence the name. Cautions: Honeysuckle is tricky. 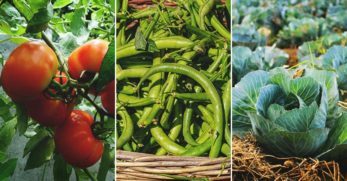 Some varieties are edible, and others aren't, and there are nearly 200 varieties. Always be sure of what you are eating. 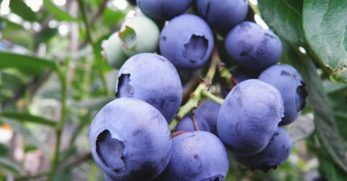 Don't ever eat the berries, which are poisonous on many plants. Another plant that some consider a weed, this cute-as-a-button flower tastes great and has medicinal properties. Use the blossoms to make tea, chop it into a vegetable salad, or sautee it. Flavor: Taste like black licorice. Cautions: Easier to digest if cooked. Have you ever tried delighting in any of the above flower varieties? Tell us what your favorites are and how you like to use them. 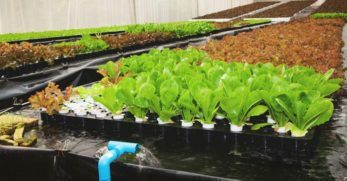 Are any of these varieties a surprise? Let us know in the comment section below!